Before being a public health emergency, an Ebola epidemic is above all a human and social tragedy. A total of 1,044 people have reported symptoms of hemorrhagic fever in the Democratic Republic of the Congo's northeastern provinces of North Kivu and Ituri since ‪Aug. 1, according to Thursday night's bulletin from the country's health ministry.‬ Among those cases, 978 have tested positive for Ebola, which causes an often-fatal type of hemorrhagic fever. 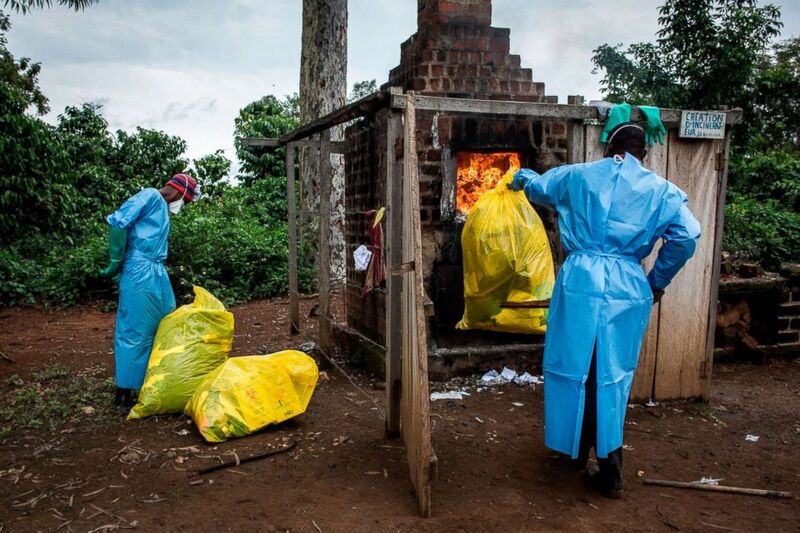 Health workers burn medical waste generated during care of patients with the Ebola virus, Aug. 21, 2018, in Mangina, Democratic Republic of the Congo. What our study shows is that the mistrust and misinformation that circulated directly affected people’s behavior and decisions to seek care, adopt protective behaviors or accept vaccine. 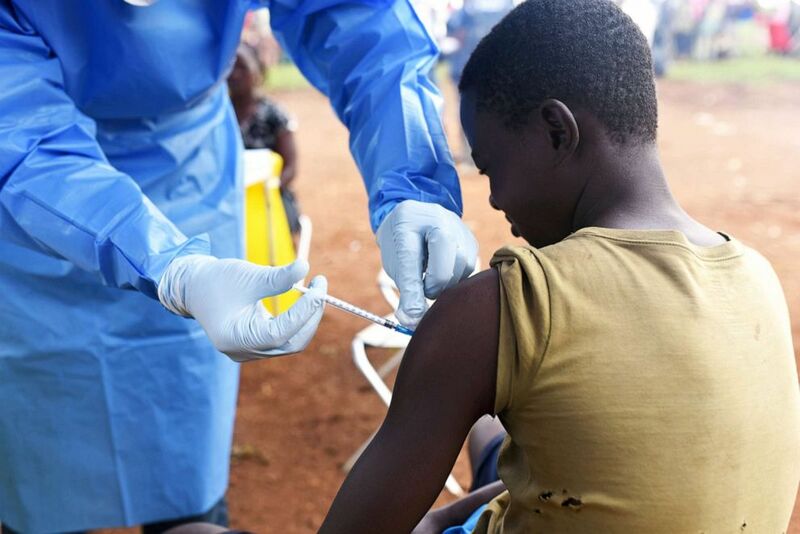 A Congolese health worker administers Ebola vaccine to a boy who had contact with an Ebola sufferer in the village of Mangina in North Kivu province of the Democratic Republic of Congo, Aug.18, 2018. "As the outbreak was announced, it was met with skepticism and mistrust," Vinck told ABC News via email Friday. "Early on, rumors about the reality of the epidemic and/or its use for political gains in a context of upcoming presidential elections seriously hindered the response. What our study shows is that the mistrust and misinformation that circulated directly affected people’s behavior and decisions to seek care, adopt protective behaviors or accept vaccine." There has been major investment and progress in the medical response, but our understanding of how individuals and communities react and behave during outbreaks remains limited.